11.28.010 Recycle City specific plan—Municipal solid waste and green energy production. 11.28.020 Hollydale Village specific plan. 11.28.030 Tweedy Boulevard specific plan. 11.28.040 Southwest corner of Atlantic Avenue and Tweedy Boulevard. I. Executive Summary. The Recycle City specific plan provides for the expansion of an existing waste recycling services operation into a comprehensive waste processing and recycling services complex. The vision for the future build-out of the site includes continuing the construction demolition and debris processing and recycling and green waste processing as ongoing uses on the site, as well as adding municipal solid waste (MSW) processing and green energy production. A. Intent. It is the intent of this specific plan to provide the land use, infrastructure, and design regulations and guidelines needed to facilitate the further development of the site for municipal solid waste processing and green energy production to complement the existing use of the site for construction demolition and debris processing as well as recycling and green waste processing. The specific plan guides the design, building, and operation of the fourteen-acre Recycle City site to enable environmental and social responsibility. The specific plan will foster a prosperous environment that complements and integrates with the existing uses on the site and on neighboring parcels. B. Purpose. 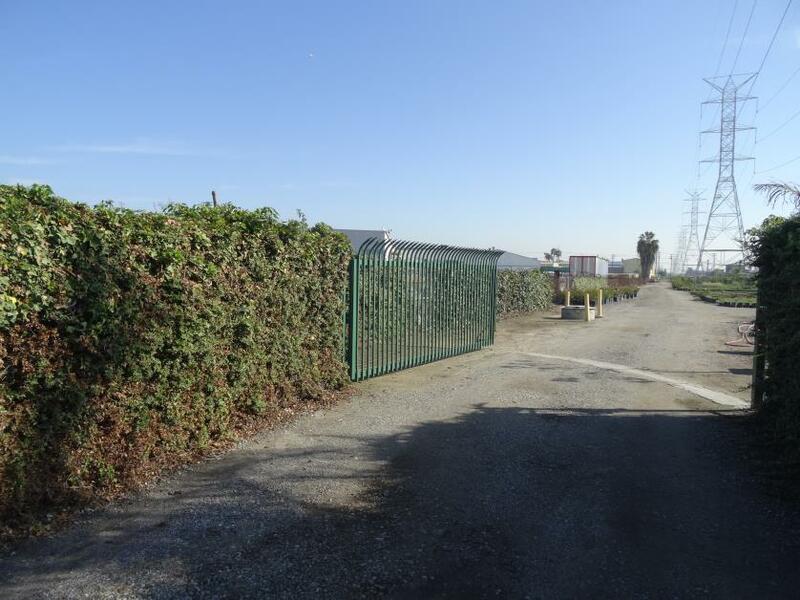 It is the purpose of the Recycle City specific plan to implement the city of South Gate general plan by defining uses for the project site that will promote the public health, safety, and general welfare of the citizens of the city of South Gate. A. Intent and Purpose. The Recycle City specific plan (Recycle City) represents a comprehensive approach to waste processing and recycling services. 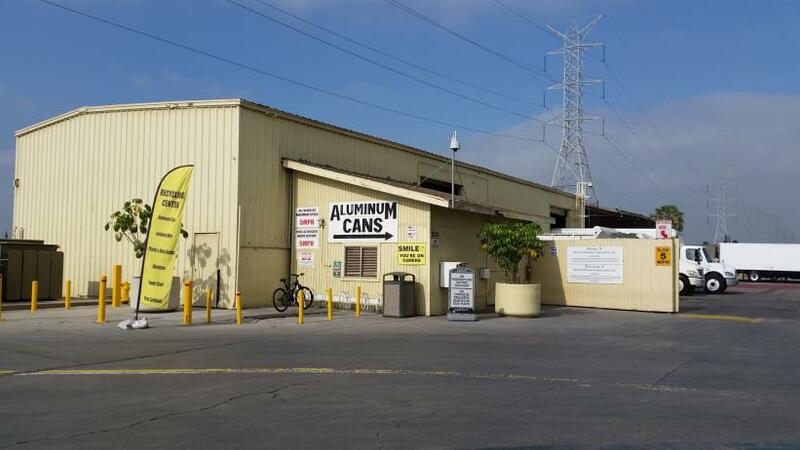 The property is owned by CARERNCAR, LLC, a wholly-owned real estate company that leases portions of the Recycle City specific plan site to Interior Removal Specialist, Inc. (IRS), Construction and Demolition Recycling, Inc. (CDR), and California Metals Recycling. IRS is a full-service tenant improvement demolition company that can also accommodate demolition projects for retail, industrial, medical, and restaurant clients. CDR is a construction and demolition facility that sorts and reconditions or recycles both traditional “hard-demolition” debris, such as concrete, asphalt, wood, dirt, and steel, as well as debris created by “soft-demolition” jobs, such as drywall, used cabinetry, carpet, ceiling tile, and office furniture. California Metals Recycling provides traditional recycling services for the public, including recycling of glass, plastic, aluminum, and paper, as well as providing processing of metals reclaimed from municipal solid waste (MSW) material recycling facilities (MRFs) in the Southern California area. It is the intent of this specific plan to provide the land use, infrastructure, and design regulations and guidelines needed to facilitate the further development of the site for municipal solid waste processing and green energy production to complement the existing use of the site for construction demolition and debris processing as well as recycling and green waste processing. The specific plan guides the design, building, and operation of the fourteen-acre Recycle City site to enable environmental and social responsibility. The specific plan will foster a prosperous environment that complements and integrates with the existing uses on the site and on neighboring parcels. 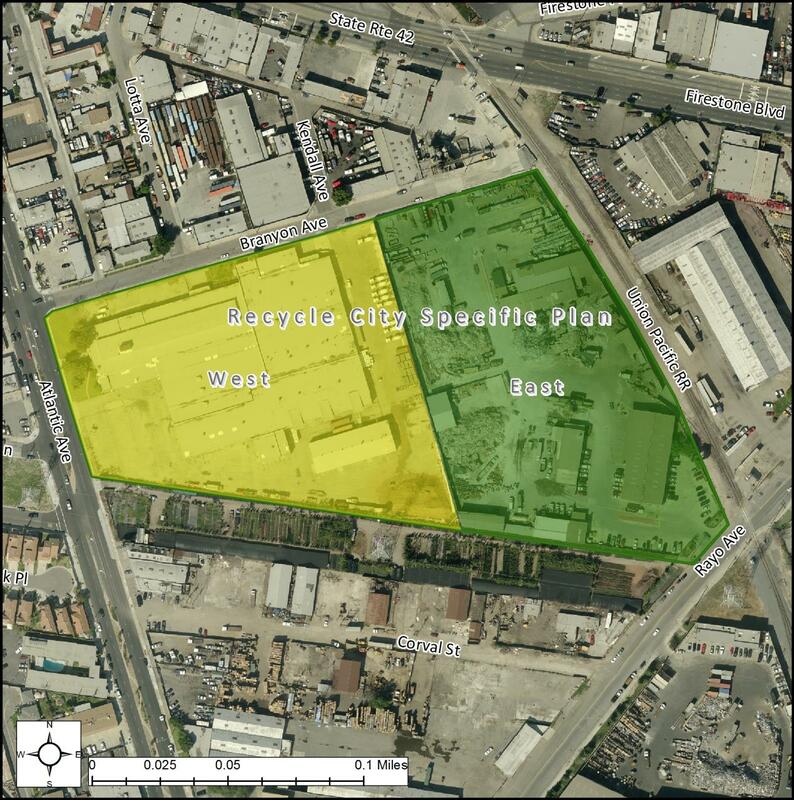 The specific plan, when adopted, will serve as a tool for the city of South Gate to implement the provisions of the general plan as it applies to the site and the zoning for the parcels. The specific plan’s development, performance, and design standards will govern future development on the site, and will ensure consistent and context-sensitive uses. B. Legal Authority and Scope. The specific plan has been prepared pursuant to the provisions of California Government Code Section 65450, which grants local government agencies the authority to prepare specific plans of development for any area covered by the general plan to establish systematic methods of implementing the agency’s general plan. Thus, a specific plan is a comprehensive planning document for a defined geographic area designed to address site specific issues and to create a bridge between the jurisdiction’s general plan and site development plans within that area. The distribution, location, and extent of the uses of land, including open space, within the area covered by the plan. The proposed distribution, location, and extent and intensity of major components of public and private transportation, sewage, water, drainage, solid waste disposal, energy, and other essential facilities proposed to be located within the area and needed to support the land uses described in the plan. Any and all development and design standards, including criteria for conserving, developing, and utilizing natural resources. A program of implementation measures including regulations, programs, public works projects, and financing measures to implement all of the above. The relationship of the specific plan to the general plan. A specific plan shall provide regulations and design standards governing the minimum and maximum development parameters of all real property within the identified specific plan area. A specific plan shall include a statement of its relationship and consistency with the general plan, and compliance with Article 8 of Chapter 3 of the California Government Code, commencing with Section 65450, and as may be amended by the state. C. Specific Plan Location. 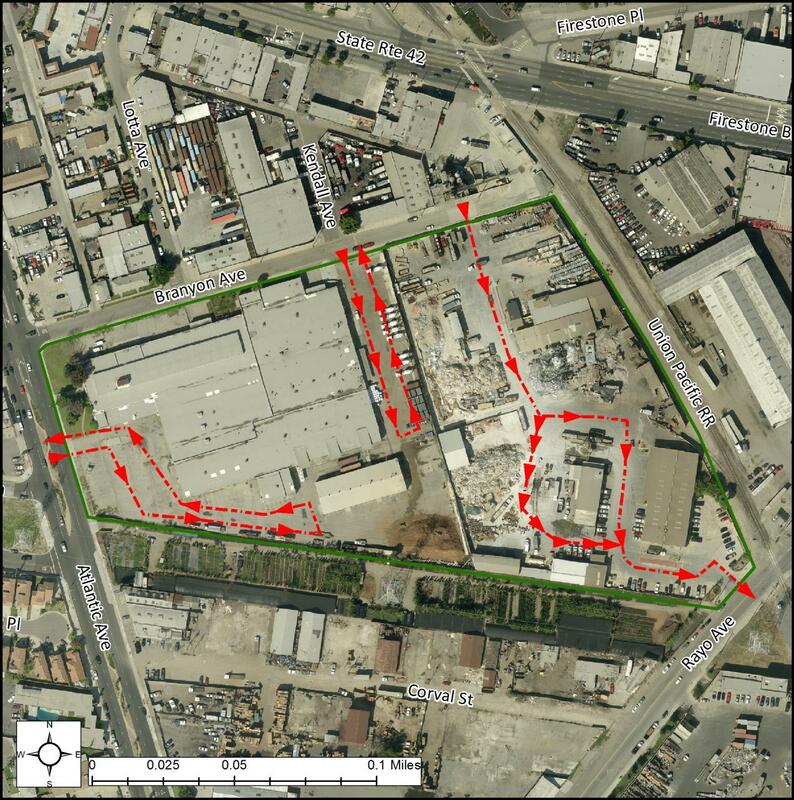 The approximately fourteen-acre specific plan site is situated to the west of Interstate 710 in the city of South Gate in Los Angeles County. The site is bounded by Branyon Avenue to the north, a Union Pacific Rail line to the northeast, Rayo Avenue to the southeast, a City of Los Angeles Water and Power easement, shown as a proposed trail in the city’s general plan, to the south, and Atlantic Avenue to the west. The surrounding parcels have a mix of industrial uses, including automotive supplies and steel building manufacturing. Figure 1 shows the regional location of Recycle City, and subsection (IX)(A) of this section contains the legal description of the specific plan boundary. The Recycle City specific plan is located on three parcels: 6222-005-025, 6222-005-016, and 6222-005-017, as shown on Figure 2. 1. Current Development. 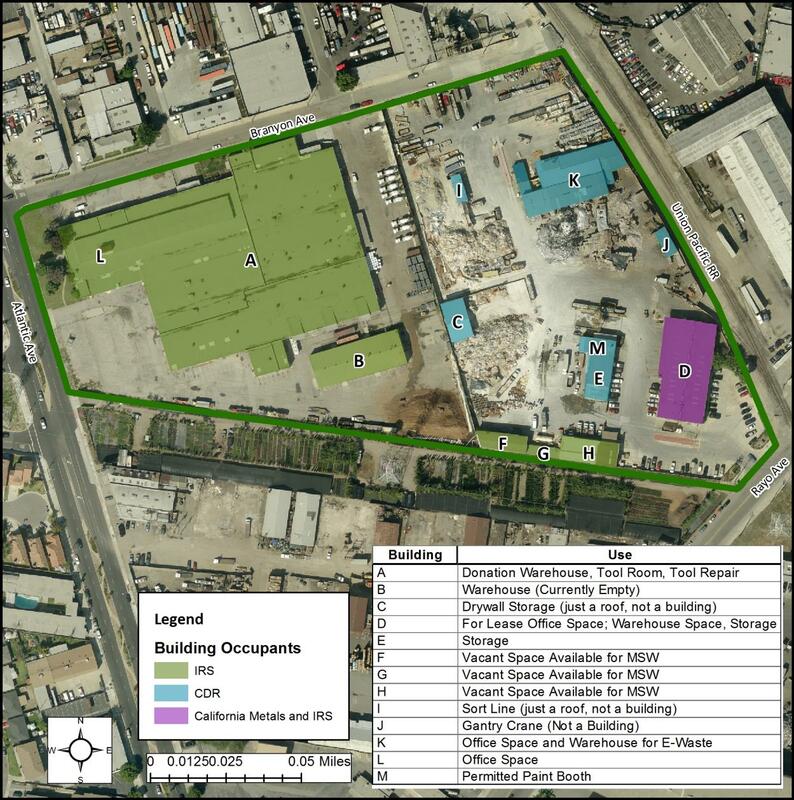 The Recycle City specific plan is currently occupied with existing buildings, parking, and driveways, at an existing gross floor area1 of 196,280 square feet, and a floor area ratio (FAR) of 0.31. 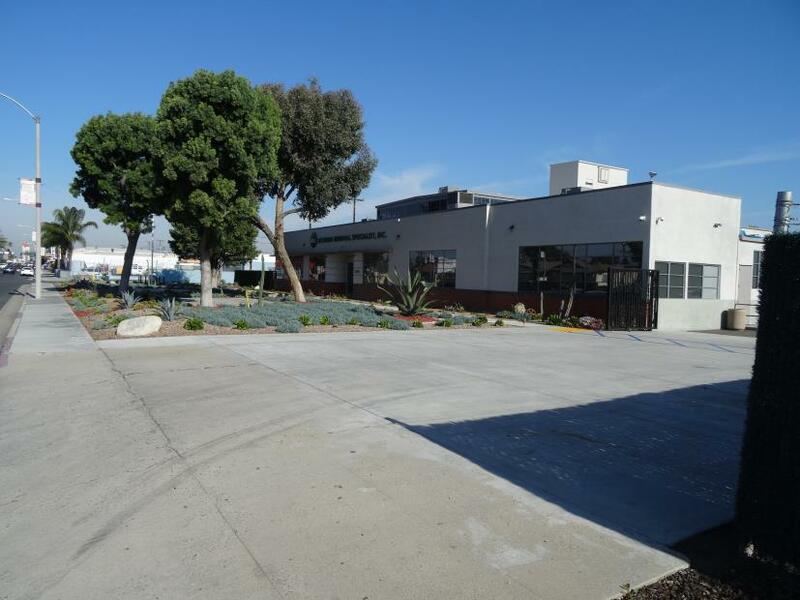 These buildings house warehouse space, a tool room, a permitted paint booth, and office space. The site is functionally used as two related, but separate areas, as shown in Figure 3. The eastern portion of the site contains the buildings that house the sorting, stockpiling, and recycling operations. The western portion of the site contains the buildings that house the warehouse and office space, as shown in Figure 4. The existing structures are likely to remain in place for the foreseeable future. Any buildings constructed on the site in the future will follow the development guidelines set forth in this specific plan. Vehicles enter the facility from Branyon Avenue and are weighed at the scale house. Vehicles are directed to the appropriate tipping areas. The CDI materials that require processing are deposited adjacent to the processing line for separation and processing. Incoming CDI materials that are source separated or otherwise do not require processing are moved directly to the storage areas. Incoming green material will be deposited next to the grinder for processing. Incoming vehicles with Municipal Solid Waste (MSW) will be directed to the MSW transfer/processing building. The MSW will be deposited inside the building for processing and transfer. CDI materials that are separated for recycling and salvage include drywall, wood, ceiling tile, ferrous and nonferrous metals, concrete, asphalt, brick, and all types of office furniture. Following processing, the separated materials are temporarily staged in storage bins and/or bunkers. The recyclable/salvage materials are then either shipped to or picked up by a final processor. Green material will be processed in a grinder, and following processing, the materials will be temporarily staged in storage bins or bunkers. The processed materials will be loaded into transfer trailers or other fully enclosed vehicles, and will be removed from the site within forty-eight hours. Recyclables separated in the MSW transfer/processing building may include paper, glass, metals, plastics. Following processing, the separated materials will be temporarily staged in storage bins and/or bunkers, prior to being either shipped or picked up by a final processor. Residual debris that cannot be separated out for recycling is loaded into transfer trailers. Transfer vehicles are loaded adjacent to the CDI processing line, and in the load out tunnel at the MSW transfer/processing building. The transfer vehicles are staged temporarily in the truck and bin storage area. The transfer trailers are fully enclosed and do not remain onsite longer than forty-eight hours. Waste is transferred on a first-in, first-out basis. Fully loaded transfer trucks then leave the facility for permitted disposal facilities. The Recycle City specific plan is being prepared to allow for MSW and green energy production on this site. The city has chosen not to amend the general plan and zoning ordinance to allow MSW and green energy production on all heavy industrial 2 parcels. Instead, this specific plan prescribes exactly how these activities can be implemented on this parcel in the future, while giving the city control over these activities through the building and permitting process. 3. Surrounding Land Uses. 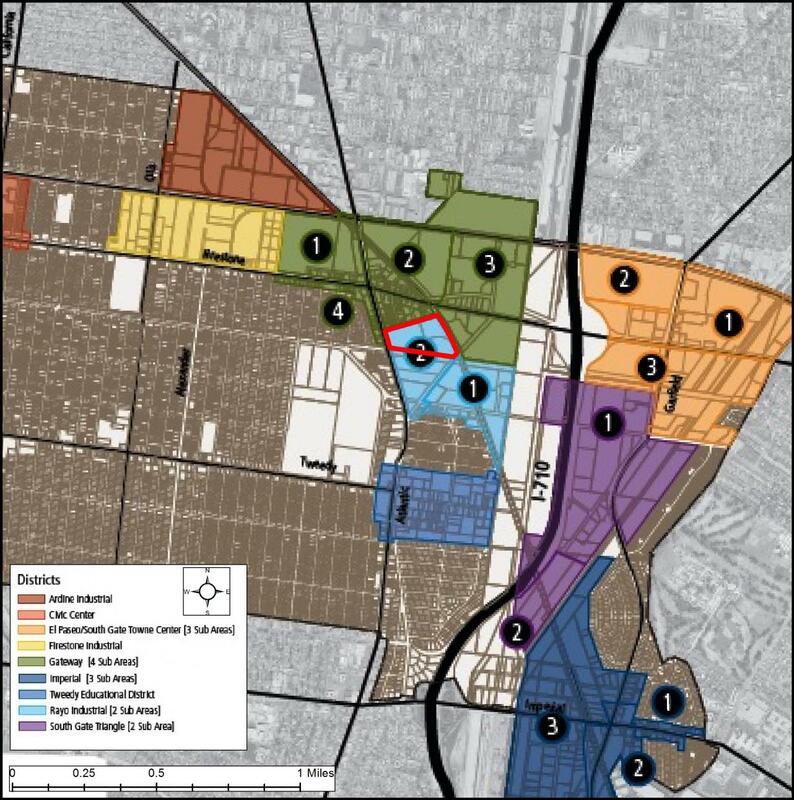 The parcels adjacent to the Recycle City specific plan to the north and northeast are designated as the gateway district, as shown on Figure 5. The parcels to the south of Recycle City are included in the Rayo industrial district, while the parcels directly to the west are in the gateway, sub-area 4 district. The parcels to the southwest that front Atlantic are included in the Atlantic Boulevard corridor designation. The surrounding parcels are currently built-out, and the existing uses include mechanic shops, liquor stores, motels, and other light industrial uses. a. Existing Circulation. 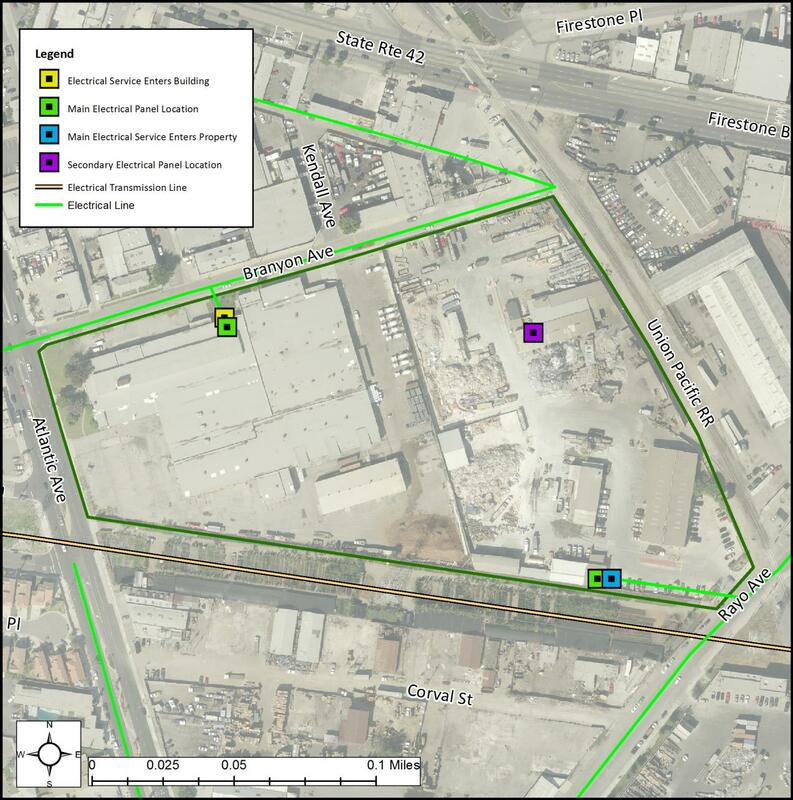 Recycle City is accessed by Branyon Avenue to the north, Rayo Avenue to the southeast, and Atlantic Avenue to the west, as shown on Figure 6. Branyon Avenue is a two-lane roadway that runs generally east-west. Rayo Avenue is a two-lane roadway that runs southwest to northeast, and is bisected by the Union Pacific Railroad adjacent to and north of the specific plan boundary. Atlantic Avenue contains four travel lanes, a landscaped median with turning cut-outs, and one lane for parking. Atlantic Avenue runs generally north-south. The main entrance/driveway is asphalt paved, and all traffic areas are either concrete or asphalt paved. The facility paving is kept clean by hand sweeping and mechanical sweeper to keep dust down. A tire wash area is utilized to prevent trucks from tracking dirt onto adjacent public roads. The on-site roadways are kept in safe conditions and maintained to allow vehicles utilizing the facility to have all-weather access to the site. All traffic that enters the eastern portion of the site uses a driveway from Branyon Avenue, and exits through another driveway on Rayo Avenue. The eastern portion of the site which fronts Rayo Avenue has a four-foot-tall iron fence, with roll-back gates that control access when the operation is closed. The remainder of the eastern portion of the site, including the frontage on Branyon Avenue, is surrounded by an eight-foot stucco and brick wall, which is topped by four-foot plastic sheeting. The driveway on Branyon Avenue also has roll-back gates. Access to the western portion of the site is controlled by a chain-link fence, which surrounds the entire parcel. 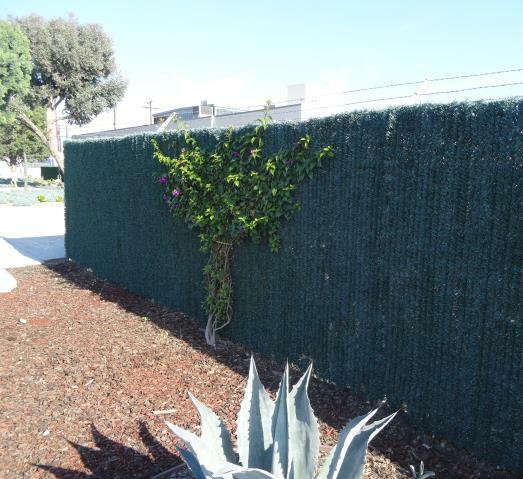 The portion of the fence that fronts Atlantic Avenue has been treated with a green insert, to mimic foliage. The fence contains a driveway entrance with roll-back gates, and the driveway leads to staff parking next to the building. The western portion of the site can also be accessed by a driveway on Branyon Avenue. A Los Angeles Metro bus stop is currently located at Atlantic Avenue and Southern Place, at the southwest corner of the specific plan site, and provides service for multiple routes from this bus stop. b. Existing Water Distribution Facilities. 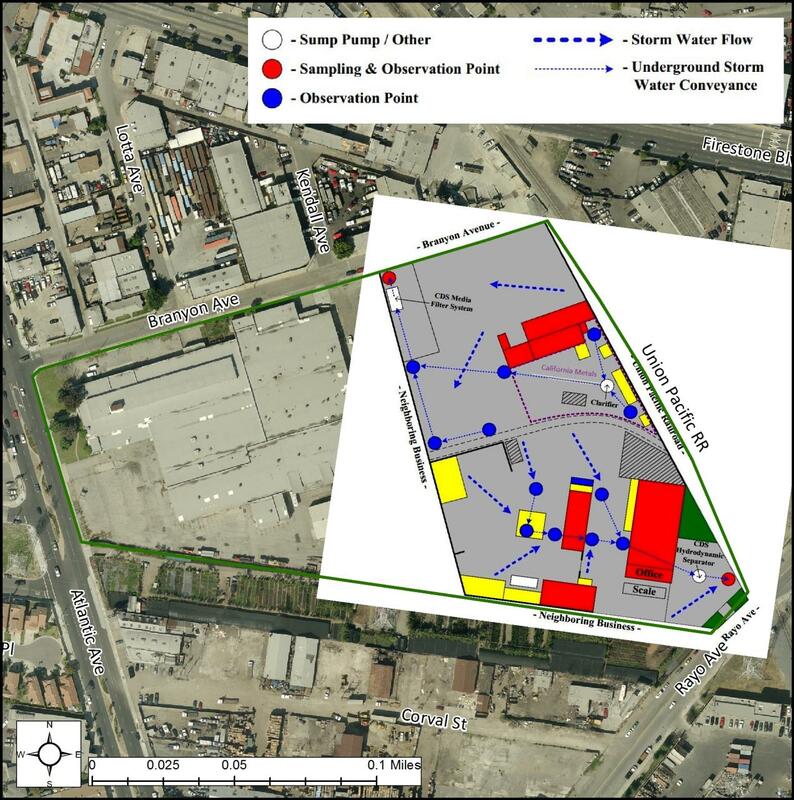 Recycle City is supplied water from the city of South Gate water main located in Branyon Avenue, as shown on Figure 7. 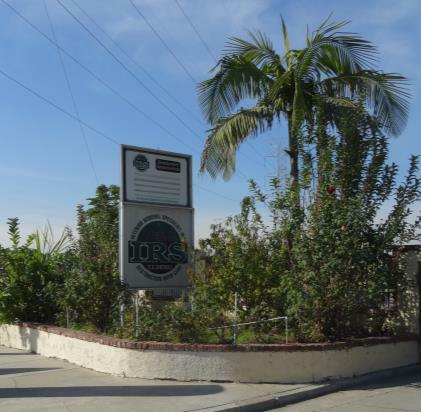 The city of South Gate adopted an urban water management plan in June 2011, which states that the water system has developed reliable sources and has an adjudicated water right of eleven thousand one hundred eighty-three acre feet per year. This water is accessed via water wells pumping from the Central Basin. In addition, the city has interconnections with other agencies and two connections with Metropolitan Water District to purchase water if needed. The city has not needed to purchase water in recent years and has been able to lease the unused water rights they own. Those additional sources are available for when the city does exceed its current water rights and may need to supplement with purchased water. c. Existing Sewer Facilities. 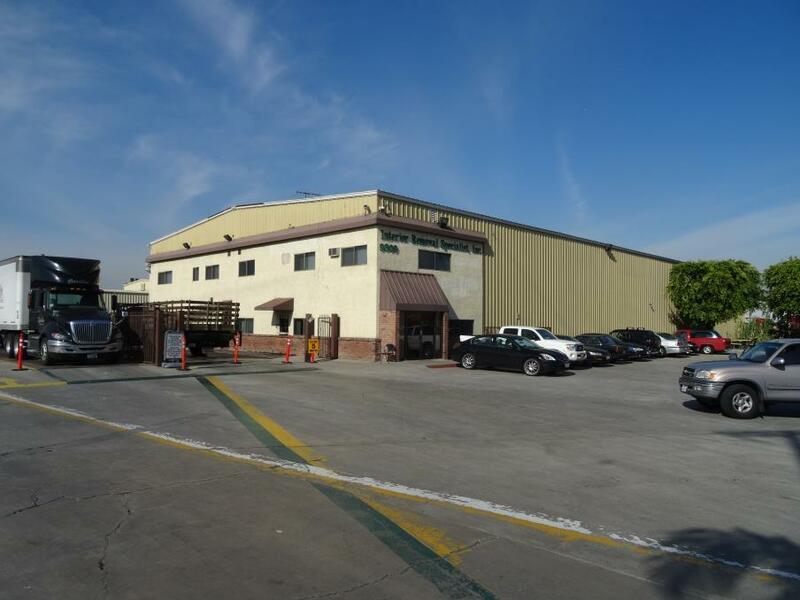 Recycle City is within the Sanitation Districts of Los Angeles County service area for sewer. An eight-inch gravity line currently serves as the major conduit for the specific plan area. The gravity line is located in Branyon Avenue, and connects to the specific plan area in the northwest corner of the site, as shown on Figure 7.
d. Existing Reclaimed Water Facilities. According to the city’s urban water management plan, the city of South Gate does not own or operate any water recycling facilities. The city purchases recycled water from the Central Basin Municipal Water District, which is offered to industrial users at a fifteen percent discount. Recycle City is not currently supplied with reclaimed water. e. Existing Storm Water Pollution Prevention Plan. The facility has obtained a National Pollutant Discharge Elimination System (NPDES) Permit (Permit No. 419I020164, dated April 5, 2006). In 2007, the company voluntarily embarked upon an update of their standard urban storm water mitigation plan in an effort to exceed the state mandated treatment requirements. The storm water pollution prevention plan (SWPPP) for the eastern portion of the site states that all on-site storm water will be treated through the use of drain packs that filter out suspended solids and treat all runoff from the facility. The additions to the SWPPP included the installation of two continuous deflection separation (CDS) units, which screen, separate and trap debris, sediment, and oil and grease from storm water runoff. A standard CDS unit was installed at the outfall located in the southeast corner of the site fronting Rayo Avenue, as shown on Figure 8. This unit is primarily utilized to treat all storm water runoff from the employee parking area. The other CDS unit, a multimedia filtration unit, is located at the outfall situated in the northwestern corner of the site fronting Branyon Avenue. This multimedia filtration CDS unit is designed to capture any and all pollutants that might be generated by the processing of the C&D materials. Both outfalls are clearly stenciled with prohibitive language and/or graphical icons to discourage illegal dumping. Two clarifiers were also installed on the site. One clarifier manages the industrial wastewater that is used to wash trucks and to operate a wheel wash system. The wheel wash system is designed to stop the transfer of dust and particulate matter off site coming from the tires of the vehicles that will be transporting construction and demolition (C&D) debris to the facility, and transporting commodities and residual materials offsite. The second clarifier is used to treat the industrial wastewater that will be used by California Metals in the processing of metals reclaimed from MSW MRFs in the Southern California area. Both of these clarifiers are plumbed to channel the wastewater to the municipal sewer and away from the storm water outfalls to ensure there will be no cross contamination. The operations on the western portion of the site are indoor operations, and do not affect the storm water drainage. Therefore, they are not subject to a SWPPP. The storm water that falls on the western portion of the site either runs into a landscaped area, or off the property where it is captured by one of the city’s storm water drains. f. Existing Electrical and Gas Utilities. Underground electric systems currently exist adjacent to Recycle City, and provide power to the specific plan area. Recycle City is served by the Southern California Edison Company; the main electrical service enters at the southeastern portion of Recycle City, as shown on Figure 9, and supplies energy to the existing buildings. An overhead transmission line runs adjacent to the property, in the water and power easement south of the specific plan (Figure 9). AT&T is the current provider of both cable and voice services to the specific plan area, through underground T-1 lines. g. Existing Solid Waste Services. Solid waste generated on the specific plan area is currently processed and recycled on site. All residual materials from the facility are transported by onsite operators or contracted haulers in transfer trucks to either a permitted solid waste disposal or transformation facility (Sunshine Canyon Landfill or Commerce Refuse to Energy Facility). First response units will be Engines 54, 57, 39, and 163. These units will be backed up by Truck 164, Squad 54 and one battalion chief. Response time from initial call to first unit arrival is expected to be three to five minutes. To facilitate the responding units, there are two fire hydrants located on the property, easily accessible to fire personnel. 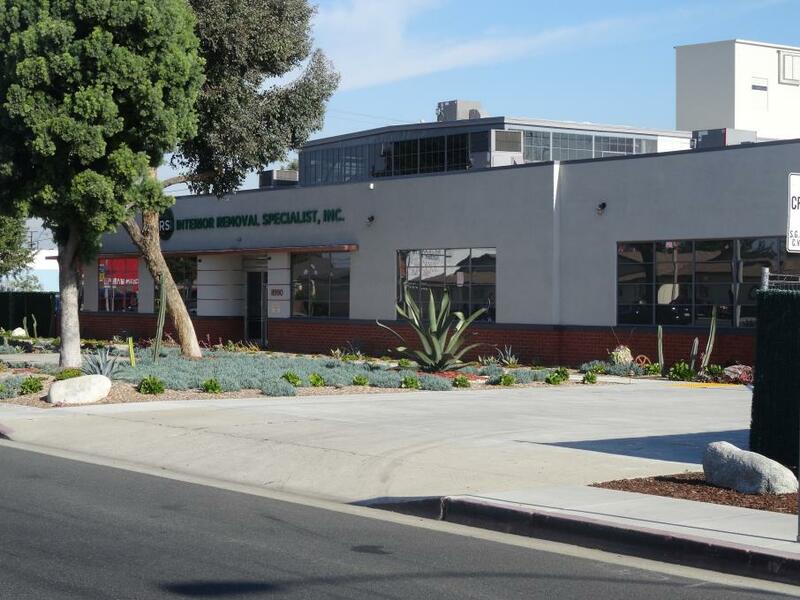 Interior Removal Specialist, Inc. has spoken with Engineer Sullivan at Station 54 regarding any possible fire events at 9309 Rayo Avenue, and all concerned are confident that proper measures and fail safes are in place. The two fire hydrants located on site are tested regularly for adequate pressure. Fire extinguishers are located throughout the facility. The fire extinguishers are regularly tested to maintain their integrity. All personnel are trained in the proper use of fire extinguishers. III. Proposed Site Development Plan and Grading Plan. A. Development Plan. 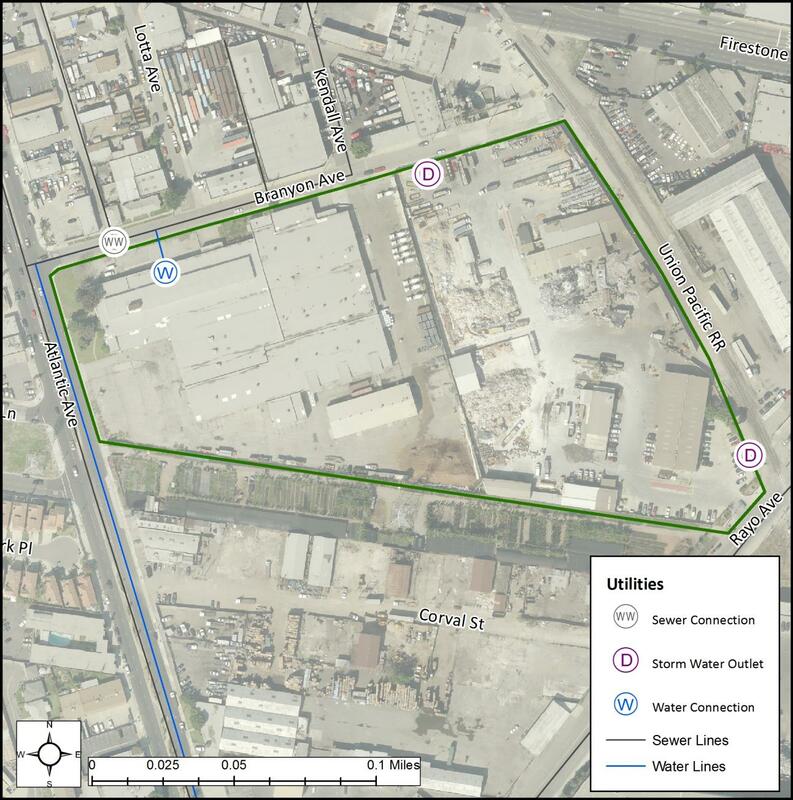 The Recycle City specific plan allows for future development on the fourteen-acre site that will add municipal solid waste processing and green energy production up to an allowable floor area ratio (FAR) of 2.0. 1. Municipal Solid Waste Transfer and Processing. The MSW transfer/processing operation will consist of an enclosed building with the interior designed to provide separate areas to receive, sort, temporarily store, and transfer mixed municipal solid waste (MSW) and recovered materials. Vehicles will enter the facility from Branyon Avenue and weigh at the scale house. Vehicles delivering MSW will be directed to the MSW transfer/processing building. Once inside the MSW transfer/processing building, a safety spotter will direct each driver to a designated tipping location. Once approved by the safety spotter, the driver will then open the rear doors of the truck and tip the load. 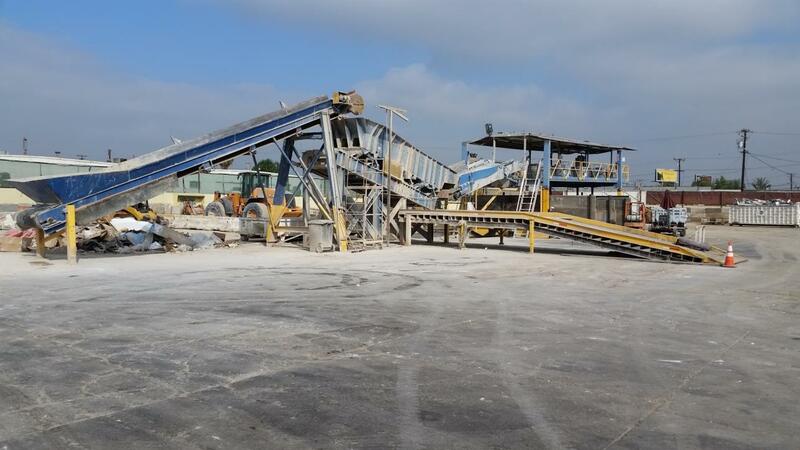 Once MSW has been placed on the tipping floor, it will then be pushed via tractors onto large conveyor belts and sorted using both mechanical and hand-sorting operations. The materials will then go through a series of sorting configurations based on selected target materials. Sorted materials will be baled and either temporarily stored or placed into transfer trucks for delivery to additional processing facilities (end-use distributors). Residual debris that cannot be separated out for recycling will be loaded into transfer trailers. Residuals will be deposited into transfer vehicles in the load out tunnel at the MSW transfer/processing building. The transfer vehicles will be staged temporarily in the truck and bin storage area. The transfer trailers will be fully enclosed and will not remain on-site longer than forty-eight hours. Waste will be transferred on a first-in, first-out basis. Fully loaded transfer trucks will then leave the facility for permitted disposal facilities. 2. Green Energy Production. The Recycle City specific plan allows for future development on the site that may add green energy production as an allowable use to this property subject to the approval of a conditional use permit by the city. Green energy production will entail the siting of an alternative green energy technology such as thermal conversion through conventional gasification or pyrolysis. Thermal conversion technologies are processes capable of converting post-recycled residual solid waste into useful green fuels and renewable energy. The technology ultimately chosen to locate at this site will be dependent upon state, county, and local ordinances, and will be compliant with all applicable environmental and emission standards. 3. Interaction with Adjacent Properties. The Recycle City specific plan is surrounded by parcels that have a mix of industrial uses, as shown in Figure 5. The Interior Removal Specialist office building fronts Atlantic Avenue, providing the face of the site to adjacent properties. As shown in the photograph below, the frontage is well-maintained, landscaped, and projects a professional facade to clients and passersby. This frontage is anticipated to remain after the specific plan is approved and implemented. The remainder of the site is screened from adjacent properties by either by a fence or a wall. This is to provide site security, as well as shield adjacent uses from the on-site activities, including operation of heavy equipment such as front end loaders/bobcats, forklifts, the processing line, excavators, grinders, steel shredders, concrete crushers, grapples, truck scales, and transfer trucks. The fences and walls that surround the site are expected to remain in place and will be maintained after the specific plan is approved and during implementation. 4. Site Plan. The Recycle City specific plan site contains functional buildings; there is no proposal to remove any of the existing buildings. Any additional buildings and operations will be placed in currently vacant areas. Alternately, existing buildings could be demolished to accommodate future buildings. All future buildings will comply with the development regulations of this specific plan. The existing on-site buildings and driveways are depicted in Figure 4. B. Site Grading. The Recycle City specific plan is currently occupied with existing buildings, parking, and driveways. All future development will occur on the existing, graded areas and no significant grading is expected. Therefore, no grading is needed. IV. Development Regulations and Guidelines. A. Purpose and Applicability. The following development regulations are intended to facilitate the orderly development of the Recycle City specific plan, and have been established to ensure that Recycle City is compatible with the city of South Gate general plan. The development regulations contained in this specific plan apply to all future development on the specific plan parcels. If, in the future, the land uses proposed for the site deviate from those contained within the specific plan, a specific plan amendment will be required. 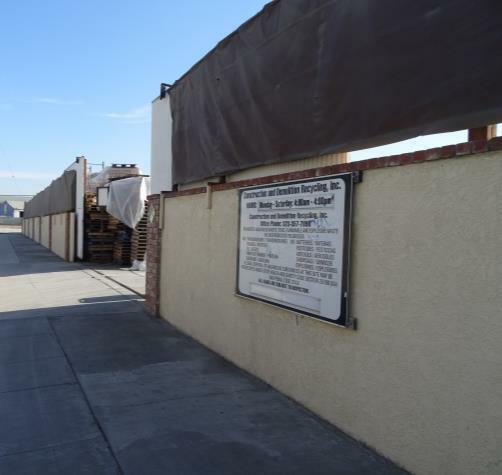 If there is a conflict between the specific plan and what is required by the city of South Gate municipal zoning ordinance, the specific plan requirements shall prevail. B. Allowable and Permitted Uses. The Recycle City specific plan is envisioned as a dynamic, sustainable industrial complex that houses state-of-the-art municipal solid waste collection, processing, and recycling equipment, as well as cutting-edge green energy production and distribution facilities. Its development focus will be to enhance the ongoing operations by incorporating additional complementary services, thus achieving logistical efficiencies by co-locating. The Recycle City specific plan allowable uses are included below. Table 1 identifies the general land use permit types and processes. Table 2 identifies the land use permissions for the Recycle City specific plan. Permitted as a primary use subject to compliance with all applicable provisions of this specific plan. Conditionally permitted, subject to review and approval of a conditional use permit. Use not permitted in the specific plan. 2 Land use may be conducted as an indoor/outdoor land use subject to the operating standards of Section 11.24.050. 1. Allowable Building Density and Height. Buildings fronting Atlantic Avenue shall be allowed a density of up to 2.0 floor area ratio (FAR), and buildings may be constructed up to five stories tall, or up to sixty feet tall. The allowable building density on the site will be between 0.25 and 2.0 floor area ratio. However, additional architectural features and green energy systems are permitted, raising the total height up to sixty-five feet tall. The street frontage along Atlantic should remain landscaped. The maximum hardscape in the front setback area shall be forty percent. 3. Allowable Outdoor Activities and Storage. Any uses or activity not contained wholly within a building shall be screened on all property lines by a minimum six-foot-high site wall or fencing and shall provide sufficient visual screening. Landscape screening shall be provided between the site wall and the primary street frontage. No storage shall be visible from the public right-of-way. 4. Vehicle Access, Circulation, and Parking. Vehicle access to the site is restricted by fences, walls, and gates. All vehicles entering the western portion of the site are and will continue to be directed to enter via Atlantic Avenue. All vehicles entering the eastern portion of the site are and will continue to be directed to enter through the gate and driveway on Branyon Avenue and exit through the gate and driveway on Rayo Avenue. On-site vehicle circulation is regulated by signage which directs cars and trucks to the appropriate locations. Surface parking is and will continue to be provided at various locations throughout the site, as appropriate for buildings. The parking ratio required will be one space for every four hundred fifty square feet of gross floor area. The maximum driveway width shall be sixty feet. Parking setback shall be as follows. Parking space size and location standards, as set forth in Section 11.33.050, shall be met. Parking lot standards, as set forth in Section 11.33.060, shall also be met. 5. Pedestrian Circulation and Access. Primary pedestrian access will be from the parking lots located on the site, and signage will direct pedestrians to the appropriate buildings. Pedestrian access from off-site will be restricted by fences, walls, and gates; the site is accessible by Atlantic Avenue. Regardless of building placement and frontage, the site will be designed to provide clear, direct and safe pedestrian access from the public street to all building entrances. The Recycle City specific plan is served by a Los Angeles County Metro bus stop. The stop is strategically located to provide convenient access to the specific plan area. 6. Green Energy Systems. Recycle City may produce green energy through thermal conversion or solar panels. All of these uses will be subject to a CUP. Thermal conversion technologies would be contained in structures, which could range from two fifty-three-foot truck trailers to warehouse-scale buildings. These trailers and buildings will be subject to the building development standards and screening requirements contained in this specific plan. All solar panels mounted to a building or structure shall be subject to the required setbacks of the building, as detailed in subsection (IV)(C)(2) of this section except as modified below. Green energy systems may be mounted to a building, structure, or roof. The height shall not exceed 15 feet from the base/mount of the unit to the top of the unit. A green energy system shall not exceed 30% area coverage of the surface to which the system is mounted; additional area coverage may be permitted through a conditional use permit. All renewable energy systems shall be operated in such a manner that they do not exceed the city’s noise standards, found in Chapter 11.34. Systems shall be white, grey, or other non-obtrusive color, unless they are not visible from the street, in which case they may be any color. Public access shall be restricted through the use of a fence with locked gates, nonclimbable towers, or other suitable methods. All areas not devoted to parking, driveways and drive aisles, walkways, building, or operational areas including outdoor storage, sorting, and truck loading, shall be landscaped and permanently maintained. To complement building elevations, landscape areas shall be provided adjacent to all building elevations that are visible from streets. To protect and preserve area biological resources, use of invasive species is discouraged. Promote water-efficient landscaping, water use management, and water conservation through the wise use of turf areas and the appropriate use of irrigation technology and management. Cover all exposed surfaces that do not have planted groundcover or hedges of non-turf areas within the developed landscape area with a minimum three inch layer of mulch or rocks. a. Project Entries. Entrances into the Recycle City specific plan should communicate that one is entering a sustainable collection, recycling, and materials reuse site. Entry signage shall be designed to inform, create an identity, complement each other, and reinforce the Recycle City theme. Planting will have clean lines and will not block any signage. c. Lighting. The facility is and will continue to be equipped with adequate night lighting to ensure the ability to monitor incoming loads and operations, and to ensure public health, safety and the environment. The lighting is maintained to facilitate visual observation of the site and storage areas during the hours of darkness. Any future development will continue to follow these standards. Emanate only from fixtures located under canopies or hoods, under eaves of buildings, or at ground level in the landscaping. d. Signage Design. Signage is meant to inform, to create an identity, and to complement and exhibit the theme of sustainability and reuse that is implemented throughout Recycle City. Signs should provide information and be designed with the appropriate scale and proportion, with the graphic elements limited to the necessary minimum. In addition, sign colors, materials, and lighting should be restrained and harmonious with the building to which it principally relates. In general, the types of signs that are prohibited include those signs that are animated or make sounds. Architecture which reflects the specific plan’s sustainable goals and setting. Building design options that are compatible with existing development to the greatest extent possible. Practical, straight-forward buildings and facilities. Minimal on-site screening with reliance mainly on the exterior fence and wall that surrounds the entire site. 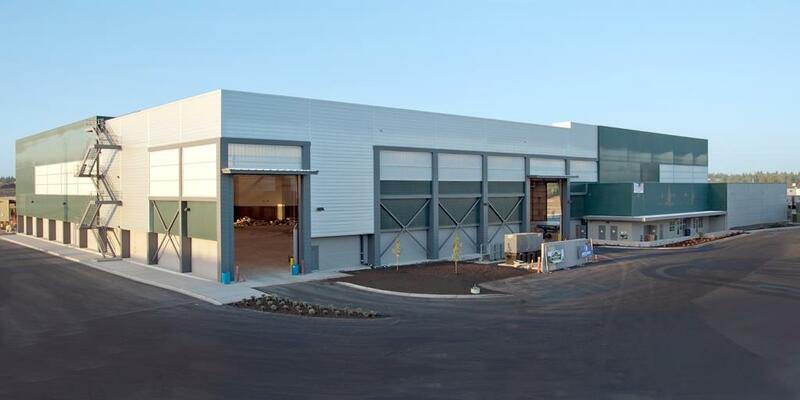 Allowance of loading doors and docks on any side of a building. Screening of rooftop mechanical and electrical equipment as an integral part of the architecture. Use of similar architectural treatments throughout the specific plan site to create unity among the buildings. Employee and visitor entryways should be distinguished from the remainder of the structure in simple, cost-effective ways. Building design and interior layout shall incorporate noise buffering sufficient to meet the South Gate noise ordinance standards contained in Table N-5 of the general plan. The different parts of a building’s facade shall be articulated through the use of color, arrangement of facade elements, or a change in materials. All elevations of structures visible from the street shall be architecturally treated and conform to these standards. Secondary entrances shall have architectural features that are smaller in height and width, with fewer or simpler architectural elements than the primary entrance in scale and detail. Entries shall be consistent with the scale and massing of the building. The size and placement of windows and doors should relate to the overall form of the building. Awnings shall be compatible with the architectural design of the structure and shall not dominate the building facade. Windows, doors, wall vents, stairways, and other architectural features shall be highlighted and treated in a decorative manner to break up flat surfaces that otherwise appear massive and bulky. Techniques such as building cut-outs, overhangs, and staggered buildings shall be utilized to reduce the appearance of mass and bulk. 4. Allowable Building Materials and Colors. Building materials shall provide architectural aesthetic quality, durability and ease of maintenance and shall be compatible with the architectural style of the building. Exterior building materials shall be composed of colors that will be consistent with the existing buildings, which include but are not limited to white, yellow, and gray paint and stucco. The use of highly reflective or mirror-like materials, and/or standard gray concrete block on the exterior walls of any building or structure shall be prohibited with the exception that such materials may be used if finished with a masonry veneer including but not limited to brick or stucco. Exposed plywood or particle board shall be prohibited on any building or structure. Piecemeal embellishment and frequent changes in material or color shall be avoided. High-intensity colors, metallic colors, black, or fluorescent colors shall not be used. Building trim and accent areas may feature brighter colors, including primary colors, provided that the width of the trim shall not exceed two feet. A broad range of roofing materials can be permitted in the specific plan area. 5. Service Areas and Mechanical Equipment. Service areas, service entrances, and mechanical equipment shall be visually unobtrusive and integrated with the design of the site and compatible with the buildings. Service entrances, waste disposal areas, and other similar uses shall be located away from Atlantic Avenue. Utility boxes shall be positioned to not be seen from Atlantic Avenue by locating them on the sides of buildings and away from pedestrian and vehicular routes. Air intake and exhaust systems or other mechanical equipment that generates noise, smoke, or odors shall not be located on or within ten feet of the front facade. V. Public Services and Utilities. All future development on the Recycle City specific plan will be served by existing public infrastructure. If future development requires infrastructure expansion or improvements, these will be implemented when development occurs. This includes all improvements to circulation, water, sewer, and storm water, and electrical and gas utilities. It is not anticipated that any new police, fire protection, and emergency response services will be needed to serve the specific plan area. VI. Maintenance. The Recycle City specific plan area shall be maintained by the current owner, CARERNCAR, LLC, or by any subsequent owners. The public services provided to Recycle City shall be maintained by the current service providers, as detailed in Table 7. VII. Phasing. The Recycle City specific plan area will be developed at the discretion of its owner, CARERNCAR LLC Development. The anticipated phasing is to first develop a municipal solid waste processing facility, and to implement green energy production either concurrently or after the municipal solid waste processing facility is developed. VIII. Implementation. California State Government Code Section 65451 requires that specific plans include a program for implementation that includes regulations, conditions, programs, and additional measures as necessary to implement the plan. This section sets forth the procedures needed to implement the approved specific plan and the procedures required for the amendment of the specific plan. A. General Implementation Provisions. The adoption of this specific plan by the city of South Gate is authorized by Section 65450 et seq. of the California Government Code and by Chapter 11.54 of the city of South Gate Municipal Code. The State Government Code authorizes legislative bodies to prepare, adopt, and administer specific plans for portions of their jurisdictions, as a means of implementing the general plan. Sections 11.54.010 to 11.54.080 specify the purpose, requirements, regulations, and procedures for preparation of a specific plan for use in the city. A specific plan may either supplement or supersede land-use regulations of this code, including all previously adopted ordinances, standards, and guidelines. Upon adoption of a specific plan and requisite zoning/general plan amendments, the specific plan shall replace and take precedence over the zoning regulations of this code for the subject property. Maximum intensity and density thresholds shall be consistent with the general plan. Where the regulations of a specific plan are silent, the zoning code regulations and all adopted ordinances, regulations, standards, and guidelines of the city shall apply, as deemed appropriate by the director. The specific plan is intended to be adopted by the South Gate city council by ordinance. A specific plan shall be adopted, amended, and repealed by ordinance and may be amended as often as deemed necessary by the South Gate city council. B. Applicability of Specific Plan. The requirements and guidelines of the specific plan apply to all existing and proposed development, subdivisions, and land uses within the specific plan area. This specific plan applies to all portions of the specific plan area. In the event of a conflict between the city of South Gate municipal code and this specific plan, the specific plan regulations will take precedence. 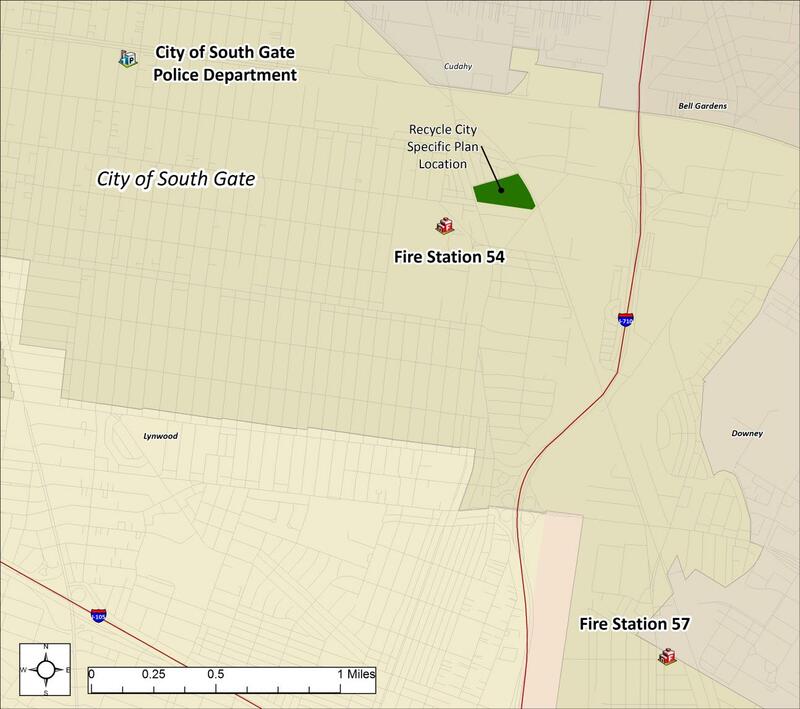 The city of South Gate community development director or designee is authorized to provide administrative determinations regarding the specific plan. Such administrative determinations must be in writing and may be appealed in accord with the city of South Gate municipal code. C. Specific Plan Administration. The implementation procedures set forth in this section are intended to assure the development of the planning area in accordance with the planning and design intent of this specific plan, and other applicable regulations. The processing procedures set forth in this specific plan shall govern all development within the specific plan area. To the extent that specific provisions of the city of South Gate’s municipal code or other codes are referenced, then those code sections shall also apply to development within the specific plan. Amendments to the specific plan shall be accomplished pursuant to the applicable provisions of state law and the city of South Gate municipal code. All proposed modifications and/or revisions to the specific plan shall be reviewed by the city council. Proposals for future development on the specific plan area will follow the procedures established in Section 11.51.050, Administrative permits and approvals, of the city of South Gate public review draft zoning ordinance from December 2014. PARCEL 1 OF PARCEL MAP NO. 12 IN THE CITY OF SOUTH GATE, COUNTY OF LOS ANGELES, STATE OF CALIFORNIA, AS PER MAP FILED IN BOOK 52, PAGE 14 OF PARCEL MAPS, IN THE OFFICE OF THE COUNTY RECORDER OF SAID COUNTY. A NON-EXCLUSIVE EASEMENT FOR PERMANENT RAIL INGRESS AND EGRESS OVER THE SOUTHERLY 23 FEET OF PARCEL 2 OF PARCEL MAP NO. 12, IN THE CITY OF SOUTH GATE, COUNTY OF LOS ANGELES, STATE OF CALIFORNIA, AS PER MAP FILED IN BOOK 52, PAGE 14 OF PARCEL MAPS, IN THE OFFICE OF THE COUNTY RECORDER OF SAID COUNTY. 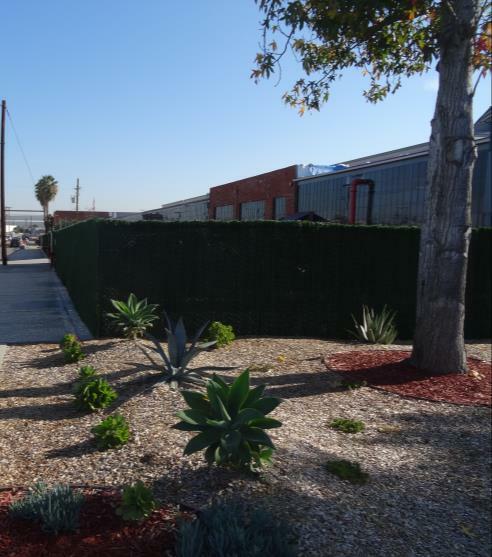 BEGINNING AT THE INTERSECTION OF THE NORTHWESTERLY LINE OF RAYO AVENUE, 54.22 FEET WIDE, FORMERLY COMPTON AND JABORNERIA ROAD, WITH THE SOUTHWESTERLY LINE OF THE RIGHT OF WAY OF THE LOS ANGELES TERMINAL RAILROAD, WHICH IS STATION NO. 1 OF THE SURVEY OF SAID 35.81 ACRE TRACT; THENCE DISTANCE 41 DEGREES, 53’ 01” WEST 91.25 FEET ON SAID NORTHWESTERLY LINE RAYO AVENUE TO THE NORTHERLY LINE OF THE 120 FOOT RIGHT OF WAY OF THE LOS ANGELES BUREAU OF POWER AND LIGHT; THENCE NORTH 82 DEGREES, 46’ 52” WEST 458.39 FEET ON SAID NORTHERLY LINE;THENCE NORTH 17 DEGREES, 03’ 22” WEST 261.04 FEET; THENCE NORTH 72 DEGREES 55’ 33” EAST 163.22 FEET TO THE BEGINNING OF A TANGENT CURVE CONCAVE SOUTHERLY HAVING A RADIUS OF 349.57 FEET; THENCE EASTERLY ON THE ARC OF SAID CURVE 354.01 FEET TO AN INTERSECTION WITH SAID SOUTHWESTERLY LINE OF THE RIGHT OF WAY OF THE LOS ANGELES TERMINAL RAILROAD, A RADIAL LINE FROM LAST DESCRIBED CURVE CONCAVE SOUTHWESTERLY HAVING A RADIUS OF 3,789.23 FEET AND A RADIAL LINE FROM SAID POINT OF INTERSECTION BEARING SOUTH 62 DEGREES 28’ 18.14” WEST; THENCE SOUTHEASTERLY ON THE ARC OF SAID CURVE 240.89 FEET TO THE POINT OF BEGINNING FROM WHICH POINT A RADIAL LINE BEARS SOUTH 66 DEGREES 06’ 51” WEST. PARCEL 2, IN THE CITY OF SOUTH GATE, COUNTY OF LOS ANGELES, STATE OF CALIFORNIA, AS SHOWN ON PARCEL MAP NO. 12, FILED IN BOOK 52, PAGE 14 OF PARCEL MAPS, IN THE OFFICE OF THE COUNTY RECORDER OF SAID COUNTY. SAID PARCELS 1 AND 2 ARE ALSO KNOWN AS PORTIONS OF PARCELS “A” AND “B” OF RECORD OF SURVEY, FILED IN BOOK 47, PAGE 46 OF RECORD OF SURVEYS, IN THE OFFICE OF THE COUNTY RECORDER OF SAID COUNTY. B. Specific Plan Adopting Ordinance. Ordinance 2324, July 28, 2015. C. Specific Plan Preparation Team. CalRecycle, 2013. Municipal Solid Waste Thermal Technologies. City of South Gate, 2009. General Plan of the City of South Gate. Prepared by Raimi + Associates. City of South Gate, 2014. 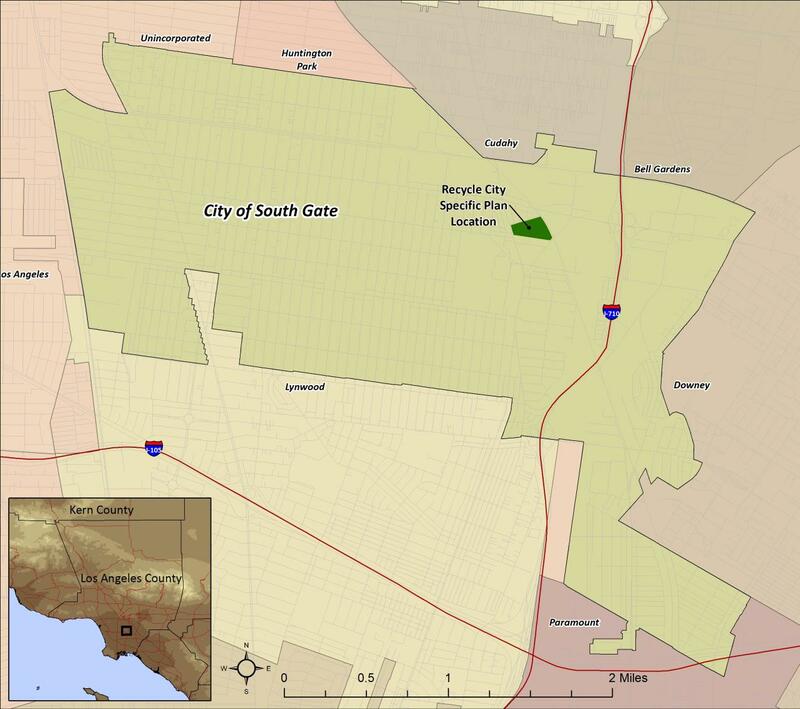 City of South Gate Comprehensive Zoning Code, Public Review Draft, September 2014. Prepared by AECOM. City of South Gate, 2014. 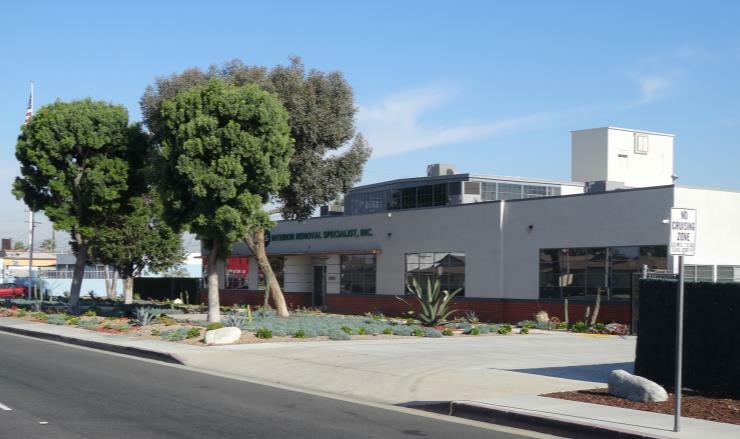 City of South Gate Comprehensive Zoning Code, Public Review Draft, December 2014. Prepared by AECOM. City of South Gate, 2011. 2010 Urban Water Management Plan. Prepared by Integrated Resource Management, LLC. Father, Philip, 2015. Conversion Technologies and the Future of a “Greener” California. Presentation to the CREST Conference at California State University, Northridge. Prairie Fire. There is hereby adopted by reference that document known as the Hollydale Village specific plan, which shall be that document contained in Exhibit “A” of Ordinance No. 2339 adopted by the city council of the city of South Gate on July 11, 2017. The full text of the Hollydale Village specific plan is available in the city clerk’s office and can also be accessible through the following link: Hollydale Village specific plan. There is hereby adopted by reference that document known as the Tweedy Boulevard specific plan, which shall be that document contained in Exhibit “A” of Ordinance No. 2359 adopted by the city council of the city of South Gate on March 12, 2019. The full text of the Tweedy Boulevard Specific Plan is available in the city clerk’s office and can also be accessible through the following link: Tweedy Boulevard specific plan. The project will provide market-rate housing in a mixed-use setting that includes a five-story, ninety-one-unit market-rate rental apartment with thirty-nine thousand four hundred eighty-two square feet of commercial space. Parking for the residential component will number two hundred twenty-eight stalls and be located within a podium structure for residents and guests. Parking for the commercial component will number one hundred sixty-six stalls and be located at grade as surface parking for patrons and employees. The residential component will consist of eighteen three-bedroom units, fifty two-bedroom units, and twenty-three one-bedroom units. There will be a total of two hundred twenty-eight parking stalls for the residential component comprised of two hundred parking stalls for the residential units, broken down as follows: fifty-four stalls for three-bedroom units; one hundred stalls for two-bedroom units; and forty-six stalls for one-bedroom units. This leaves a balance of twenty-eight parking stalls to be provided for guest parking. The developer shall provide off retail hour parking through a permit process for the development’s tenants and guests in the retail parking areas that are not in use. The developer shall provide security boxes for on-site deliveries in the retail area that would be open to the public. The development will include one five-level mixed-use building (multifamily, retail and office) and three freestanding commercial (retail) buildings. The proposed five-level mixed-use building will have two levels of commercial and office uses facing the Atlantic Avenue frontage and two levels of parking off the Pinehurst Avenue frontage. 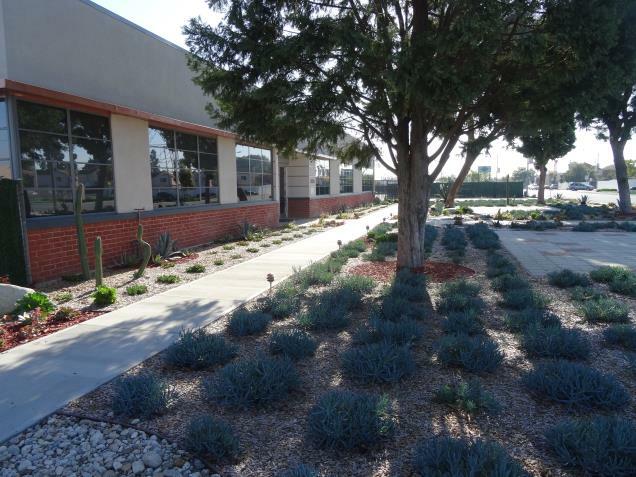 The attached commercial component consists of ten thousand three hundred eighty-six square feet of retail with three thousand seven hundred sixty square feet of office space on a second level above the retail space. Multiple-family units will be located on the upper three levels over the parking area. There will be a community courtyard on the third floor of the building. The building will be located on the western perimeter of the site facing Pinehurst Avenue. Vehicular access to the residential parking structure is from Pinehurst Avenue and through the commercial parking lot, which takes access from Tweedy Boulevard and Atlantic Avenue. Access into the residential apartment will be via a secured system for residents, vehicles and guests. The three freestanding commercial buildings consist of a thirteen-thousand-five-hundred-forty-square-foot structure on the corner of Tweedy Boulevard and Atlantic Avenue and two structures measuring four thousand fifty-three and seven thousand seven hundred forty-four square feet on the northern and southern perimeter respectively of the property. Lots Nos. I-7, Lots 10 to 32, Lot No. 34, Lot No. 36, Lot No. 38, Lot No. 40, Lot No. 42, Lot No. 44, Lot No. 46, and Lot No. 48 of Tract No. 6436 as recorded in Map Book 70; Pages 16 and 17 in the Office of the Los Angeles County Recorder. 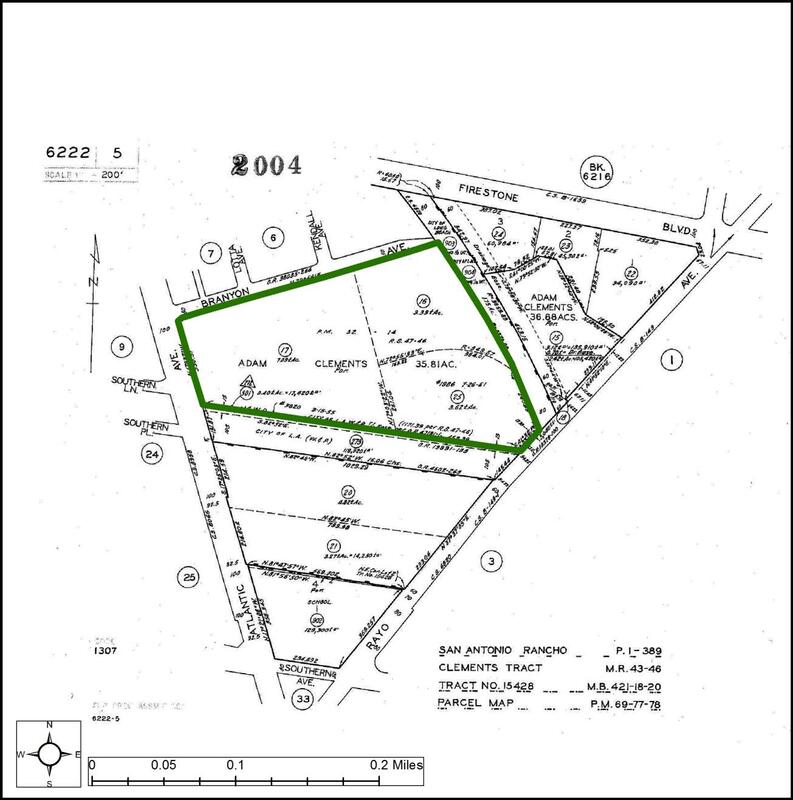 There is hereby adopted by reference the site plan attached to the ordinance codified in this section, elevations and conditions of approval for Precise Plan No. 18 and Site Plan No. 283, including the Conditions of Approval to the Modification to Precise Plan No. 18 and Site Plan No. 283 at 9923 Atlantic Avenue (southwest corner of Tweedy and Atlantic), as contained in Ordinance No. 2349 adopted by the city council of the city of South Gate on June 12, 2018. Gross floor area calculations are based on the area within the surrounding exterior walls of a building or any portion thereof, including shared bathroom spaces, storage areas, and areas for circulation.